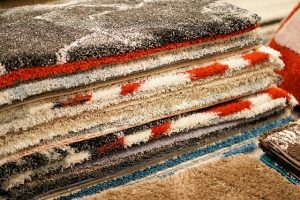 Your carpets and area rugs play the critical role of keeping your home comfortable, warm and stylish. But you’ve probably already asked yourself the question: how often should I clean my carpet? Here are a few tips on how often you should clean your carpets to keep them clean and free of dirt, grime, pet dander and other pollutants all year round. Does anyone in your homestead have allergies? How heavy is the foot traffic in carpeted areas? If you have a small household with no smokers, young children or pets, vacuuming your carpets and rugs once a week should be sufficient enough to keep them clean. However, the general rule of thumb is to vacuum at least twice a week and have your carpets professionally cleaned once every year. For a high traffic homestead with young children, pets or smokers it’s advisable to clean your carpets between three and seven times a week, depending on how soiled the area is. When considering how often you should clean your carpet, don’t forget about stains. Spills should be cleared immediately to minimize the risk of your carpet developing stains. It helps to clean the carpet padding as well to prevent the stain from spreading and causing bad odors and additional damage. Alternatively, you can invest in stain-resistant rugs and carpets, especially if stains happen frequently in your home. A light-colored carpet will brighten up a room, but it can also reveal dirt and stains. It also goes without saying that maintaining the appearance of a light-colored carpet will require more frequent cleaning than a darker carpet. On the bright side, however, lighter carpets allow you to quickly detect the increasing levels of dirt, which tells you when it’s the appropriate time to deep clean. Many carpet manufacturers will only maintain your warranty if you follow a specific cleaning regimen. Most warranties will state that you must have your carpet professionally cleaned at least once or twice a year. You may be required to keep your cleaning receipts in case a warranty issue arises. Shoes will not only track in dirt but also bring in small particles of grit onto your carpet. This can result in the premature wear of your carpet fibers. And the more people in your home means more traffic. Unless you remove dirt and grit periodically, it will eventually damage your carpet permanently. Clean carpets are bright and welcoming. If you’re still wondering how often should I clean my carpet? Then it’s important to bear in mind that you should spare some time to vacuum your carpets every week. Regular cleaning will protect your carpet from damage and potentially increase its average useful life.